Glasslock tempered glass food containers are the perfect choice to store food or cook / reheat in the microwave. Pop leftovers in the fridge or the freezer without the need to transfer it to a new container. 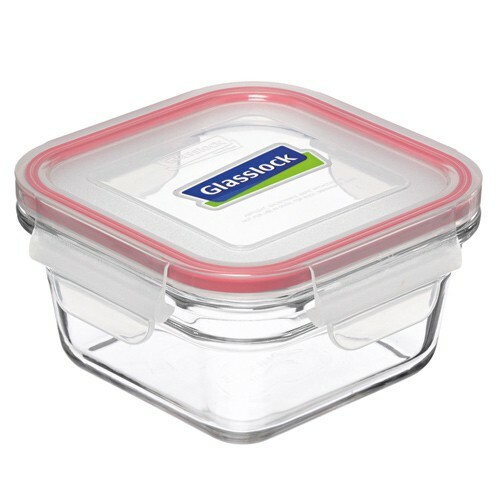 Glasslock glass food containers are the perfect choice to store food and cook food in the oven or microwave*, then pop left overs in the fridge or the freezer without the need to transfer it to a new container. Glasslock comes in a variety of sizes & shapes. The different sizes in each shape (round, square & rectangular) are nestable in your cupboard when not in use to save on storage space, as are the round mixing bowls, great news for kitchenware junkies with limited cupboard space! This product is covered under warranty for 1 year due to manufacturing defects. Call 1800 252 624 for further information. *Note: For health reasons, we don't recommend the use of microwave ovens (refer to Health Home, Health Family for more information). However, if you do need to use one, we highly recommend it's done in a glass food container and not a plastic one and try to avoid cooking protein in a microwave oven. 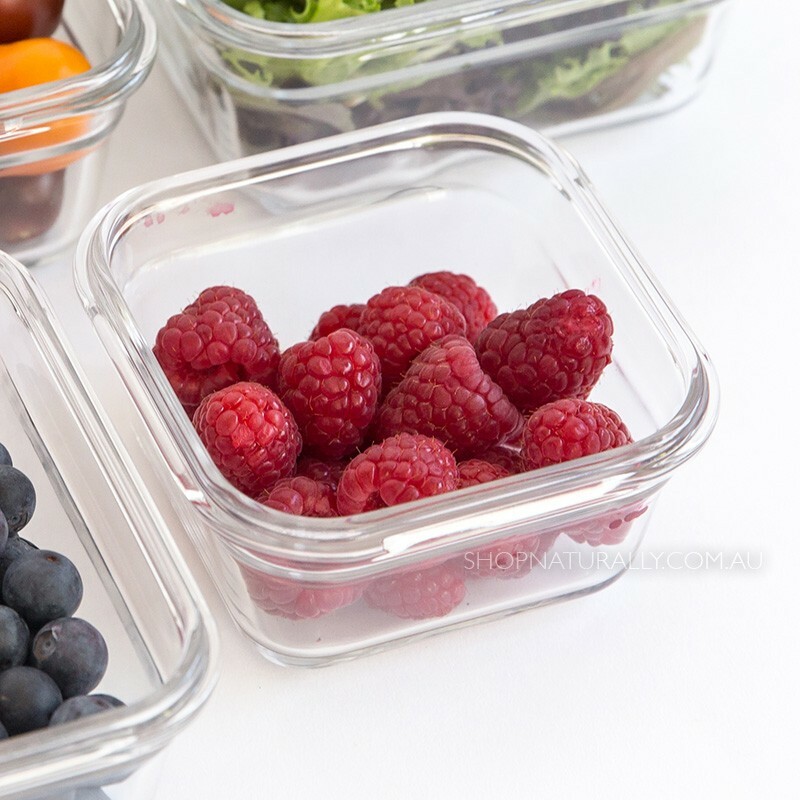 This range of glass food storage containers from Glasslock come in many shapes and sizes for the various tasks in your food prep & storage needs. From small baby food containers through to lunch boxes, bakeware sets and more, they are always on sale and available in both single containers and sets. so glad I found this site awesome quality products like the Glass-Lock range of containers so beautiful easy to use & clean Get rid of Plastic. Smaller than I thought. I love how they fit inside the 900ml ones. Perfect soup containers or could make pot pies in them! Excellent product, the lid snaps shut securely without any leakage. I stored bolognaise sauce in the freezer and reheated it in the dish without any staining - love it, will buy more! fits a surprising amount for its size, perfect for lunchtime salad. really durable and no leaks. I love this size for single serve leftovers to take to bridge on Fridays for lunch. These are great glass containers with lids that clip on. The size is perfect for putting left-overs into the fridge, and you can be sure that the lid will not lift off, if firmly closed. <EOL>Personally don't think you can have too many of this type of storage. The perfect size to take snacks to work for lunch. This is such a handy addition to my growing collection of eco containers. So many uses I am over the moon. Plus it's neat looking!